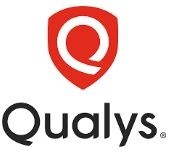 Qualys, Inc., the leading provider of on demand vulnerability management and policy compliance solutions, helps organizations of all sizes discover vulnerabilities, ensure regulatory compliance and prioritize remediation according to business risk — with no infrastructure to deploy or manage. QualysGuard®, the company's flagship service, conducts automated security audits and provides the quickest route to neutralize worms and other emerging threats. Distributed scanning capabilities and unprecedented scalability make QualysGuard the ideal choice for both SMBs and large, distributed organizations.